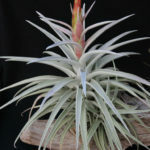 Tillandsia harrisii is a very unique looking air plant up to 8 inches (20 cm) tall. It has a relatively long stem, with the leaves usually directed to one side, and curled in a dense rosette. The inflorescence is comprised of five to nine spirally arranged flowers, with orange to red floral bracts and blue-violet petals. 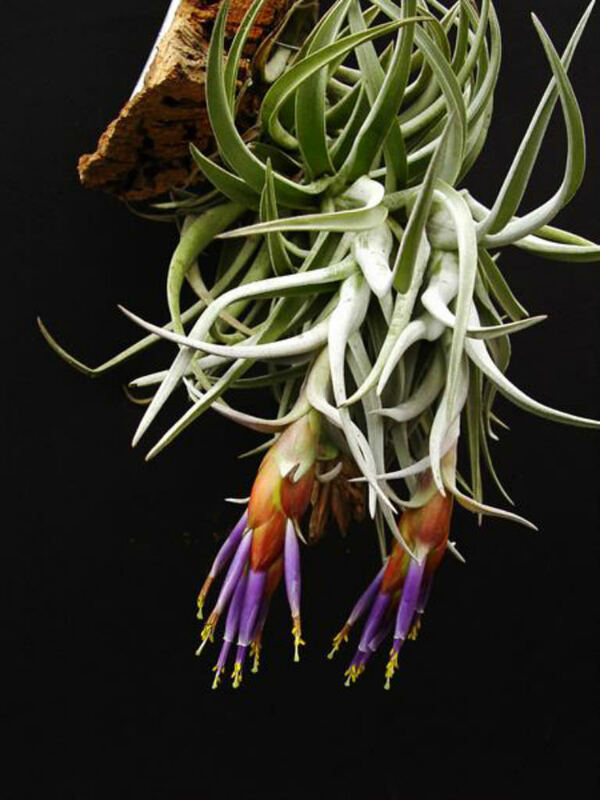 Like with most plants, the first step in learning how to grow an Air Plant is learning about their natural habitats. These plants are native to forests and mountains in Central and South America, and the southern United States. 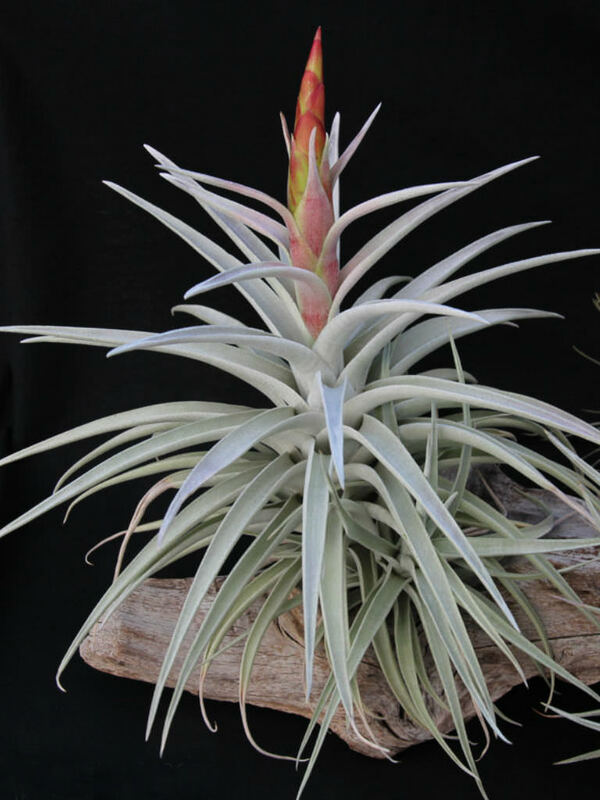 From late-summer to mid-spring, water your Air Plants by misting them daily. 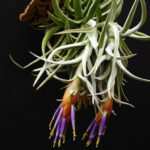 Unlike potted houseplants, you can’t really over-water an Air Plant. Keep in mind that these plants primarily come from warm and humid environments. 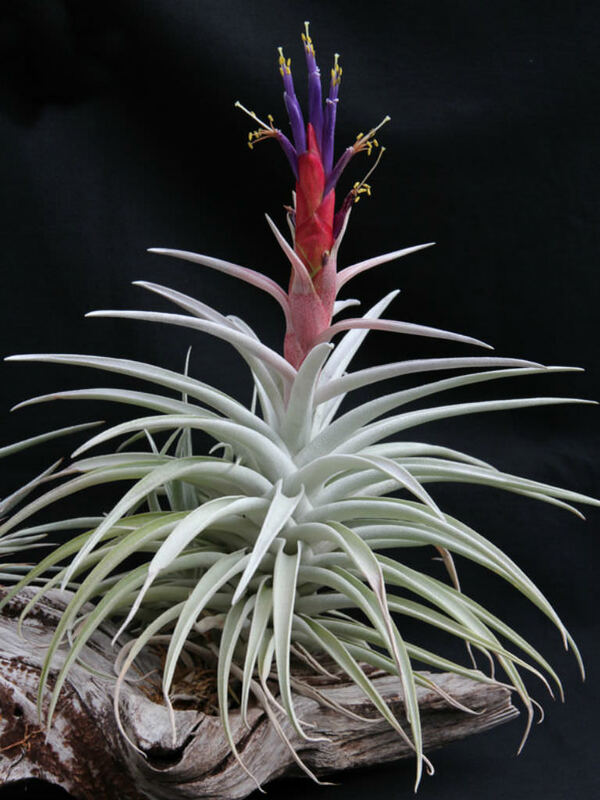 If you live in a dry climate or have forced air, you will need to provided adequate humidity by regularly misting your Air Plants. 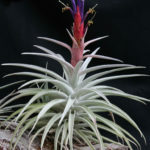 A bright, sunny window, alcove or porch where the Air Plant gets some protection from full sun is ideal for these plants. Remember, they grow in tree canopies and mountains where they get dabbled light and some shade. Too much direct sunlight will lead to your plant drying out or the leaves burning. 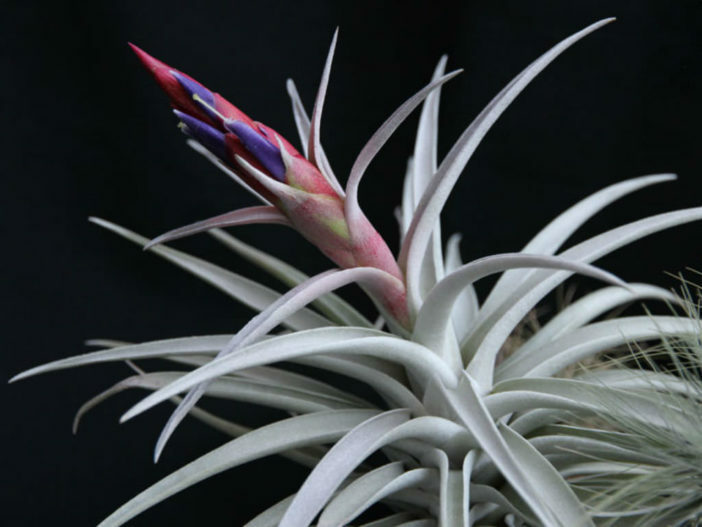 Yes, plants can get sunburns just like we do… – See more at: How to Grow and Care for Air Plants. It is endemic to Guatemala.